The e-learning provider IMC has worked actively with the ZEISS group since 2012 on the design of its continuing digitization program with the help of innovative and individual training solutions. Following the award of the Brandon Hall Silver Award 2015 to the partners in the category “Extended Enterprise Learning”, the jointly developed further education platform “ZEISS Academy Vision Care” was able to convince the jury once again and achieved the highest accolade with Gold. “ZEISS Academy Vision Care“ is a user oriented platform that serves the internal further education of the “Vision Care” division’s employees as well as the training needs of external sales partners worldwide. The challenge of meeting diverse training needs is mastered by the platform via individually delivered training plans and content whilst the responsiveness of the Learning Management System (LMS) enables learning independent of time and place. In this way, the “ZEISS Academy Vision Care” platform is able to deliver successful training programs in product and brand know-how, expert knowledge for the optical industry as well as soft skills. Training content is continually adapted and expanded. One of the latest training programs for measurement instruments, for example, uses 3D animations that enable the learner to get to know the product realistically and structurally. The platform design was re-worked in 2017 and is now characterised by an even clearer and user friendlier user interface, very much in line with the ZEISS brand. 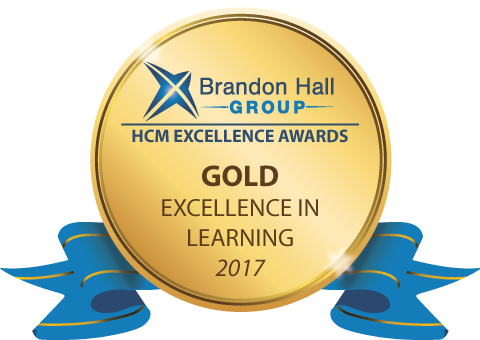 The award entry was evaluated by the Brandon Hall Group jury consisting of independent and experienced e-learning experts following the criteria of marketability, program design, functionality, degree of innovation and measurable benefits. You can find further information on the Brandon Hall awards here.